Apologies for the toilet OOTD here, and the dirty mirror situation, but I wanted to show you all what I wore to attend an event this weekend. I adore ASOS sale, which is where I picked up this gorgeous jumper. It's quite oversized and comfy, and super easy to wear. 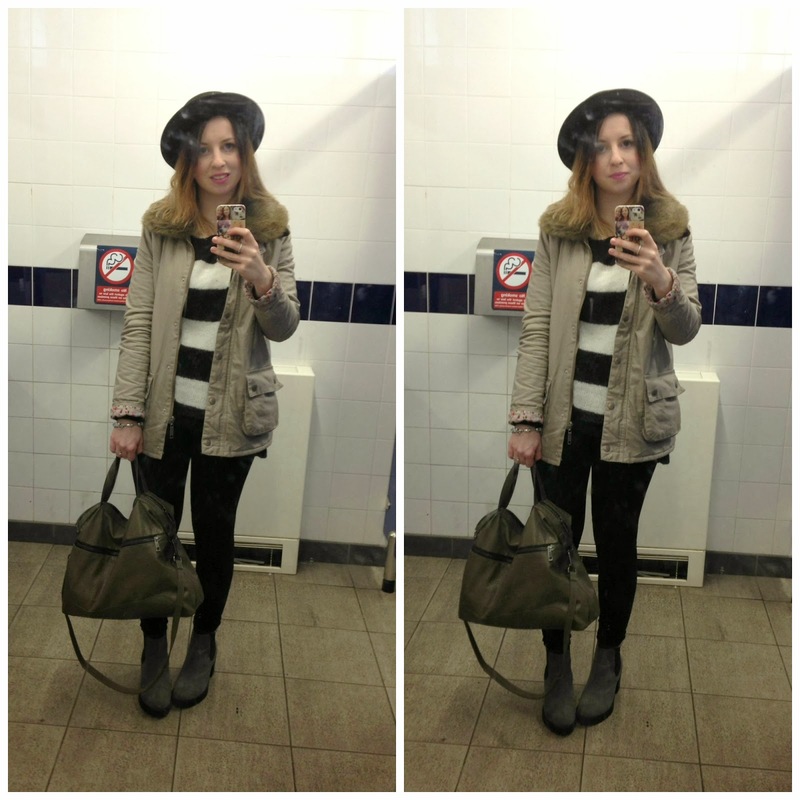 I love the monochrome look and this OOTD just about matched the grey skies of Manchester this weekend. I've suddenly jumped on the accessories bandwagon and I'm LOVING hats. This is a totally new thing for me as I've always avoided hats in the past, however since trying one on from Ark I knew I need to invest. I picked up this little number for a tiny £7.99 in H&M and I love it. Really cute outfit, love your style! This jumper is perfect :) I can't get away with hats, but love this one! This is very nice! Very nice indeed. I love how the basic outfit is monochrome, and then the coat, bag and boots over that give a general khaki murkiness, it's quite interesting to look at.